Desi Smith /Gloucester Daily Times. 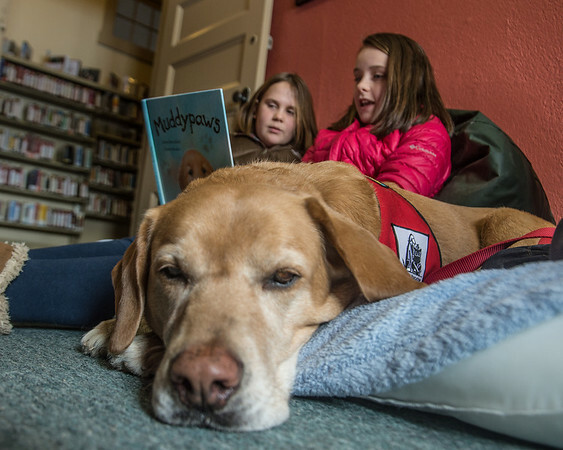 Rosco the Therapy Dog relaxes with Emma Wonson 9, (left) and Nora Smith 10, as they take turns reading Muddypaws to Rosco Saturday morning at the Essex Public Library. The idea is the kids' reading skills will improve because the dog doesn't judge, doesn't interrupt, and likes to listen.